This spectacular Elizabethan manor house in rural Norfolk was built in 1576 and originally conceived as a four square plan around a central courtyard. It has had a most chequered history. The fourth south side was never built, and instead a gatehouse and enclosing wall was constructed in 1604. Around the time of the English civil war the eastern half of the house was destroyed, and remains as a romantic ruin. The remaining west side gradually reduced in status to a farmhouse, with many alterations and additions, leaving the house in its present compromised state. In the late C20 the house was converted into four flats. Our client was the first owner for many years to attempt to return the house to single ownership and to restore the major rooms and features. 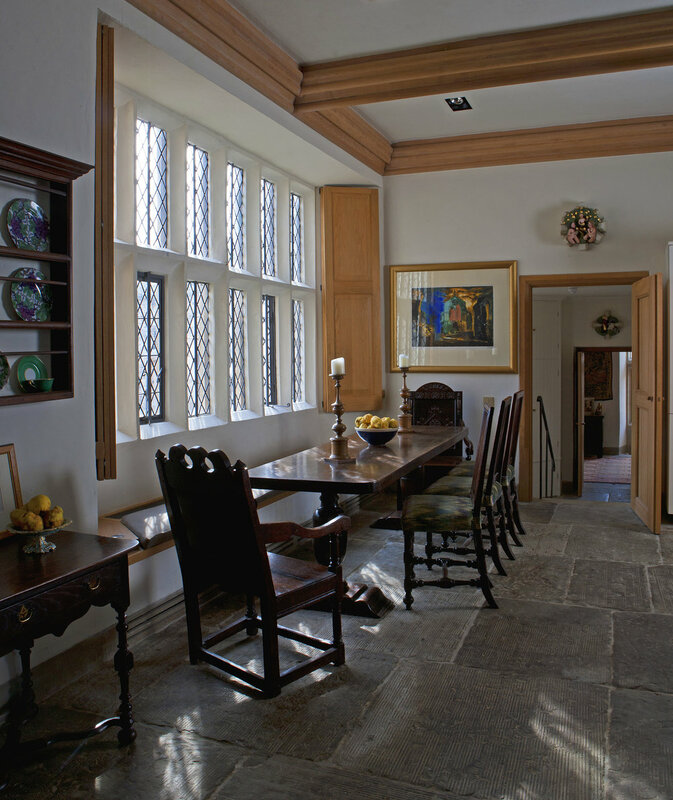 The house is listed Grade 2*, and detailed discussions have therefore been necessary both with the Conservation Departments and English Heritage. A full Fabric and Photographic Survey and an Historic Landscape Assessment have been prepared under the direction of the practice, together with detailed drawings showing the restoration of the house. Archaeology and structural surveys have also been prepared. The designs for the house have been informed by our comprehensive search of historical data, which gave an accurate chronology of the many changes that have taken place. Old plans, both proposed and built were discovered, particularly at Raynham Hall nearby. The work also involved the restoration of the gatehouse, the re-instatement of the courtyard and the stabilisation of the ruins. The project was carried out in three separate phases.